Having a postage stamp bearing your image and honouring your pioneering career may be the peak of recognition for some people. But not for Rosella Bjornson, the first female jet airline pilot in Canada, and among the first in North America. Born in Lethbridge, Alta in 1947, Bjornson was recently inducted into the Alberta Order of Excellence, recognizing her as an icon in the aviation world. “Live your dream. Do what you love. Cherish every moment along the way. Be brave. Take risks. Create your own happiness,” is some of the advice Bjornson shares with others. When Bjornson first applied for employment at an airline, she was told by Air Canada that she needed to have a university degree before they would consider hiring her. So back to school Bjornson went, earning a BSc in geography and geology. After that, she made her way to the Winnipeg Flying Club, where she hired on as a flight instructor. 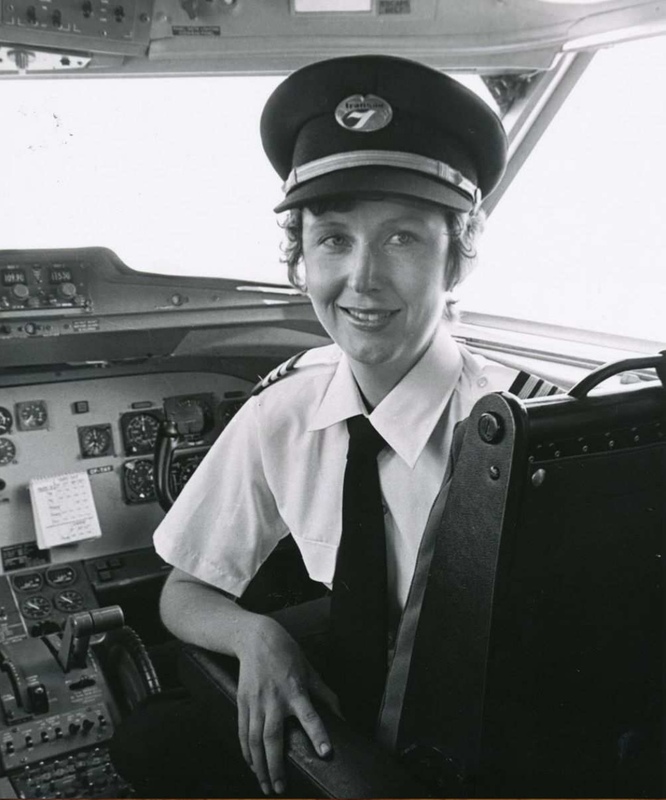 Her first airline job came in 1973 when Transair hired her as a first officer in an F28, making Bjornson the first female first officer on a jet airliner in North America. Her career took her to the right seat in 737s for both Pacific Western Airlines and Canadian Airlines, followed with a promotion to captain in the latter’s 737s. Bjornson retired from the airlines in 2004 with over 18,000 hours in her logbook. She continues flying her father’s 170B, which she keeps hangared near her home in Sherwood Park, Alta.